This update introduces Apple Music – a revolutionary music service, 24/7 global radio, and a way for fans to connect with their favorite artists – all included in the redesigned Music app. iOS 8.4 also includes improvements for iBooks and bug fixes. This update is about 200MB and can now be downloaded and installed via the push update. If you are not seeing it yet, go to Settings > General > Software Update. Your device will then check for the available software update and you will be able to download and install it. Alternatively, or if you are not seeing the update in the “Software Update” on your device, you can download the IPSW from the direct links given below and then restore it using iTunes. 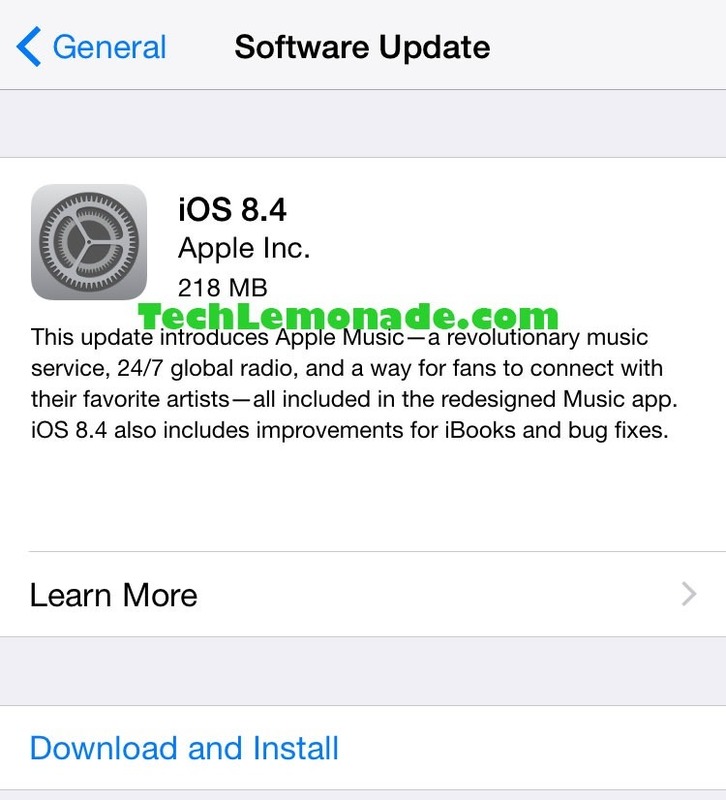 Just click on the correct link to download the iOS 8.4 IPSW for your device to download it. In device Summary tab, click on “Restore” button while holding the “Ctrl” key (Windows) or “Option” key (OS X). Browse and select the iOS 8.4 IPSW that you downloaded. The restore process will begin, wait for it to complete. Once done, your device will reboot and you will have the iOS 8.4 installed. Enjoy!